Life insurance fraud is relatively limited in its forms and variants, if only because life insurance policies are relatively specific in their function. Life insurance policies exist to provide money to those surviving the policy holder, in the event of his or her death. Life insurance fraud, then, can only function in so many ways, as the only possible way to collect money on a life insurance policy is if the holder is officially considered dead by the insurance company issuing the policy. There are two main types of life insurance fraud, the first of which involves less by way of criminal charges, and is also theoretically the easier form to investigate. One way to pull off life insurance fraud is simply to fake the death of the policy holder. Having that person vanish willingly, while somebody close to him or her then collects on the policy, is a classic life insurance fraud strategy. Of course, the flaw in such life insurance fraud schemes is that the person is, in fact, still alive, and the only way to get the money earned from the life insurance to the person is to make contact with that person, thereby alerting any fraud investigations that might be looking closely into the affair. 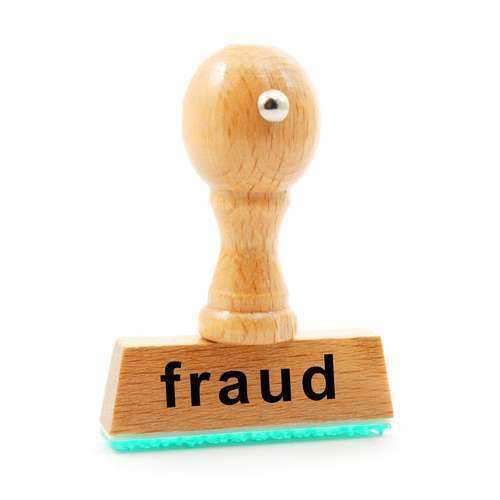 Even putting aside the difficulties of a life insurance fraud scheme in terms of getting the money to the person who has faked his or her death, the fact remains that the person will still be in the world. Should he or she ever be discovered, then he or she will be charged with life insurance fraud, amongst other possible charges, and will almost undoubtedly be punished severely for his or her crime. The other main type of life insurance fraud is significantly more dangerous for all involved parties, and is significantly more serious. In this version of life insurance fraud, one party, usually the beneficiary of the policy, will attempt to murder the life insurance policy holder for the sake of receiving whatever money would come from the policy. This could be a very plotted out scheme, in which the policy holder does not even necessarily know that a life insurance policy has been taken out on him, or it could be a more spur of the moment crime. But either way, this kind of life insurance fraud is much more serious than the other kind, as it obviously involves criminal murder charges, along with the life insurance fraud. Fraud investigations may actually subside next to criminal investigations, which would likely also discover the fraud, along with the murder. Life insurance fraud is one of the less perpetrated forms of fraud, not least because it is so difficult. There is no way to perform soft life insurance fraud, which would simply be an exaggeration of a claim, instead of an outright lie, as the policy holder will either be dead, or alive. This means that the only kind of life insurance fraud is hard fraud, which generally indicates a greater amount of planning or criminal intent. Furthermore, life insurance fraud being so decidedly in the realm of hard fraud indicates that the people who would likely commit life insurance fraud are the people who would be more likely to commit any kind of criminal act, in general.